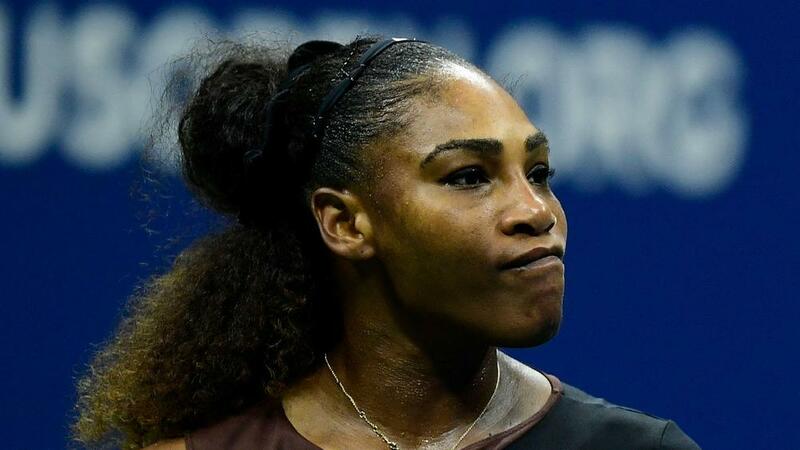 Umpire Carlos Ramos should have tried to "defuse the situation" before issuing a game penalty to an irate Serena Williams in the US Open final, said Lindsay Davenport. Williams was issued a code violation for what the umpire deemed to be coaching from Patrick Mouratoglou, irking the 23-time major champion who insisted she was not a cheat. A point penalty for racquet abuse led to her branding Ramos a "liar" and a "thief" and she was then docked a game, following which she called for the match referee and alleged she was being treated differently to male players. Williams was in tears as she saw out a 6-2 6-4 loss to Naomi Osaka, whose maiden grand slam triumph was overshadowed by the American's argument with the official. Davenport, a three-time major winner who won the US Open in 1998, felt Ramos could have done more to stop the situation escalating. "Carlos Ramos is a great umpire but he never tried to defuse the situation with Serena," Davenport said on the Tennis Channel. "A lot of times you can give soft warnings for coaching as well to kind of warn the player. "There's a lot of things he could have done along the way to maybe not get to the point where it was game [violation] and really change the whole narrative of this match." Davenport believes in-match guidance from coaches, which is allowed on the WTA Tour but not in grand slams, is widespread in majors and Ramos could have explained he was targeting Mouratoglou with his first code violation and not Williams. She said: "Also, how many times do coaches actually get warnings for coaching? "You very rarely see it. We've never really seen it from Serena before. "Then he got a little tacky when he then accused all coaches … he kind of went off the rails a little bit but he definitely copped to it that it always happens. "The chair umpires almost never call it so to call it in a grand slam final against a player that's never really had it before, it just seemed odd. "That's another place where Ramos could've inserted himself and said, 'This is not about you, this is all on your coach up there…that was my way of telling him to be quiet.' Ramos didn't handle some of those conversations very well."